If you've been around for a while, you know that twice a year I buy and sell at the "Just Between Friends" Consignment Sale. Lucky for me, it's five minutes from my home - in Oaks, PA! Actually, it's in the same Expo center where I held "Gavin's Playground Party!" I was in line before 9am and was armed with a list and a plan. I had dropped off my sale items the night before and did a walk around with my camera phone - I took pictures of everything I was interested in and then came home to research it. Then I created a list of everything I wanted to go for - in priority order. As soon as I walked through those doors looking calm and mature... I grabbed a shopping bag and RAN!! (I wish I was joking!) I'm so happy to say - I got everything I wanted! 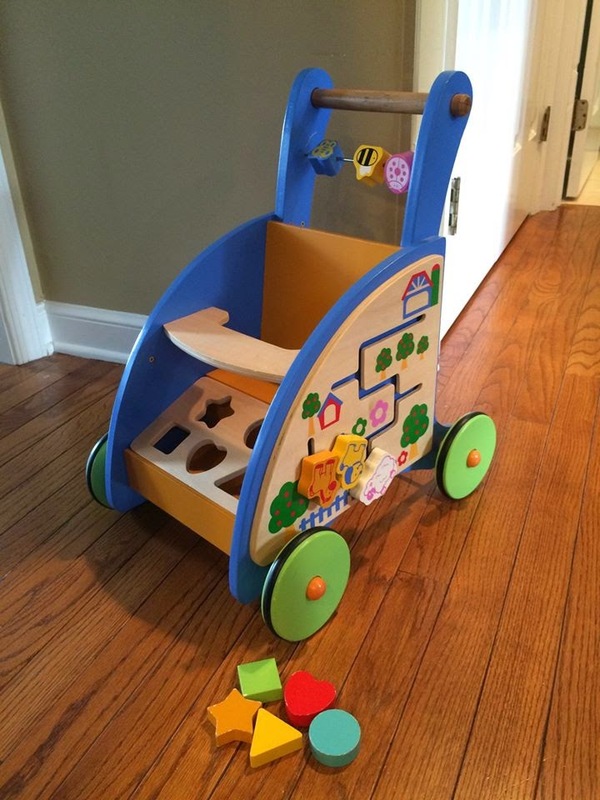 I couldn't resist this adorable wooden walker. I really have no idea what these go for - but I am SURE it's a lot more than FOUR DOLLARS!!! Seriously - I bought this for $4.00. Hope is really into her little doll. The one Brian picked out for her the day we told him he was going to be a big brother! 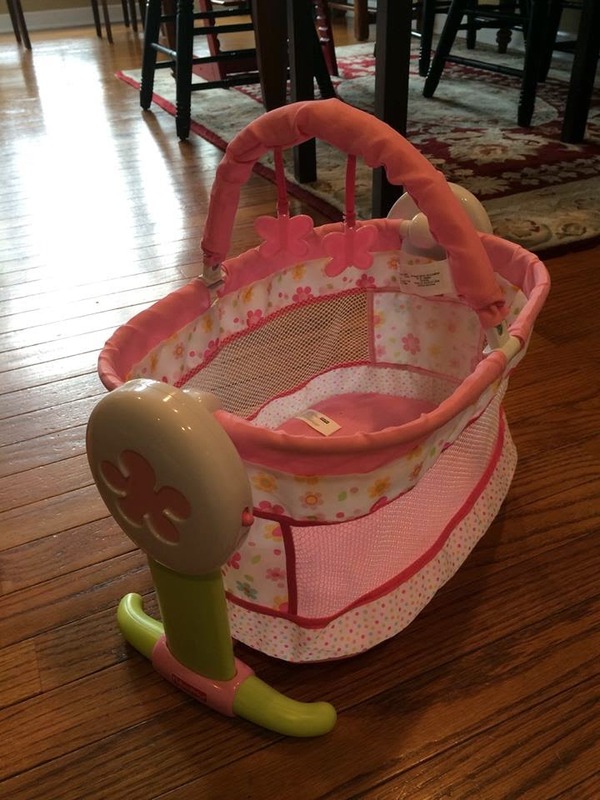 I'm thinking this THREE DOLLAR little baby cradle will be a lot of fun around Christmas time. 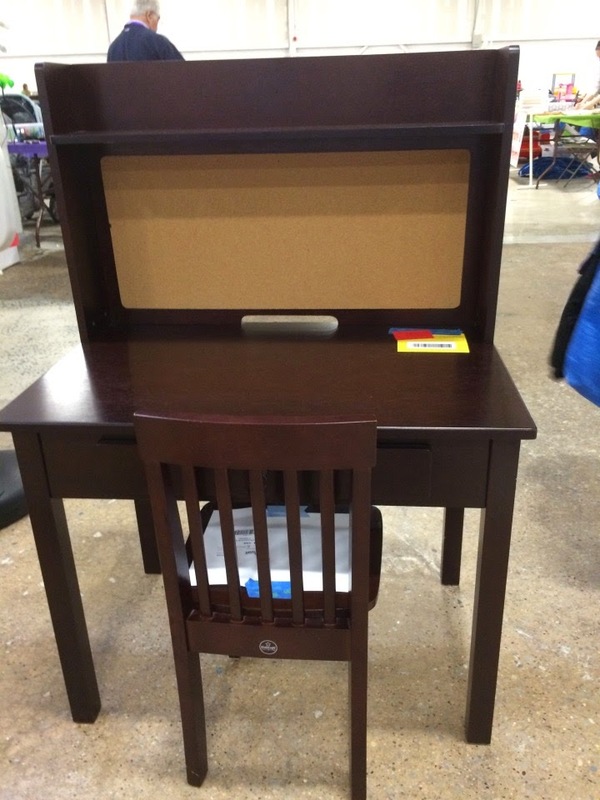 I HAD to have this desk with an attached hutch and pin board. Had to. There's not a mark on it - it looks like it was put together (better them than me!) and never used. The lowest price I could find online (unassembled) was $169.00. I bought it for $75! 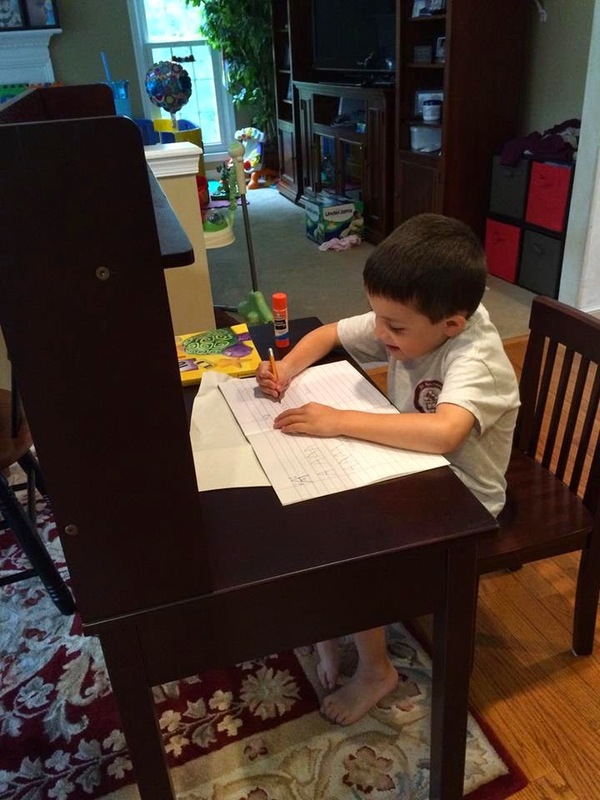 I envisioned creating a homework station for Brian. 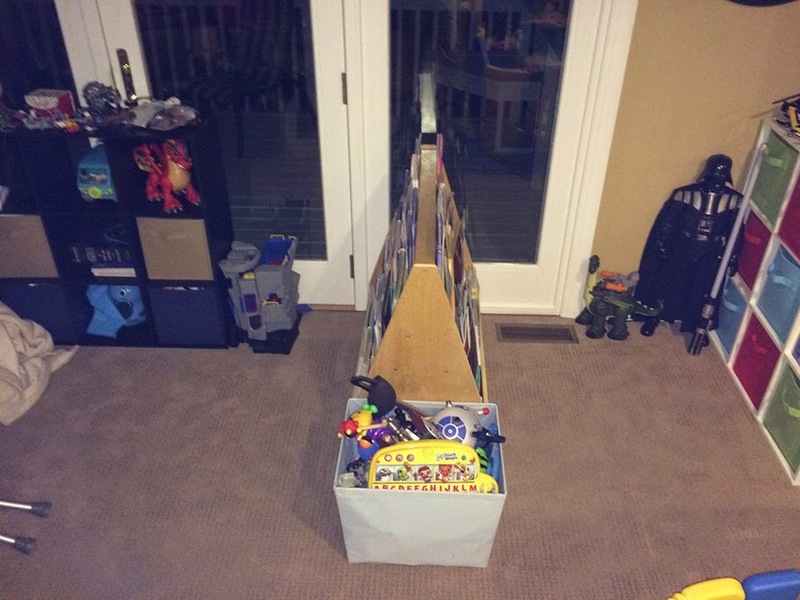 When he got home he LOVED the idea and got started on his homework right away! Now we just have to find a kids desk set. Anyone know where I can find an ink blotter and matching pencil cup for kids? This is another gift for under the tree this Christmas. I'm sure by then Hope will be able to use a ride on toy like this. 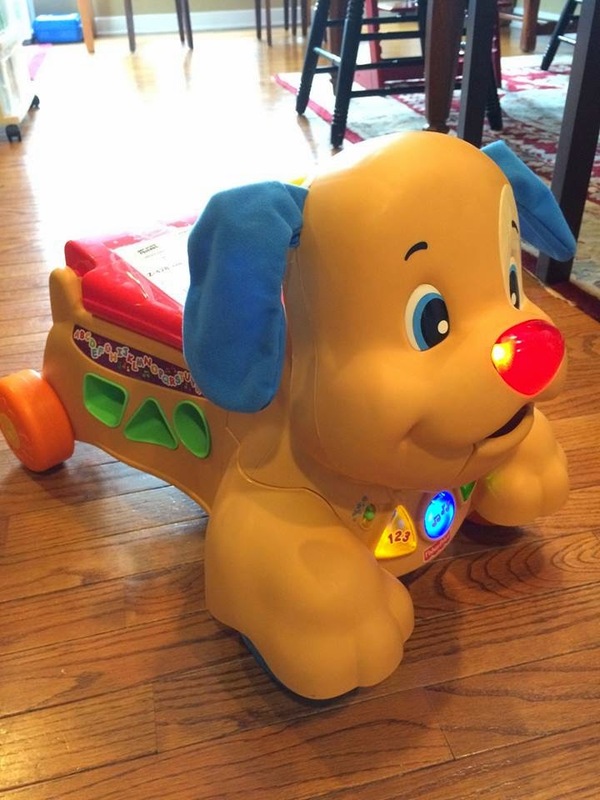 Sure, there were girly ones - but we have a special bond with the "Laugh and Learn" puppy. Most of Gavin's toys were from the Fisher Price Laugh and Learn line. Hearing those songs and that voice again will definitely bring some smiles to our faces! It sells new for $40.00. I got it for $15.00! Sometimes when I'm walking around the JBF sale I forget that Gavin is gone. I will spot something and think - "Gavin could use that for (insert any therapy here)!" or I'll see a toy and think - "Gavin would love that!". I still do it - and then my stomach drops. 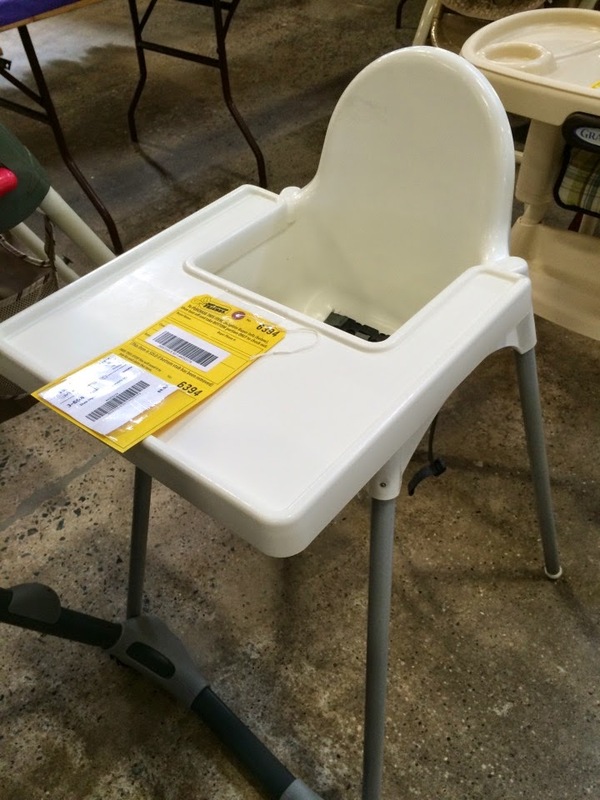 It happened when I spotted these two Ikea high chairs. 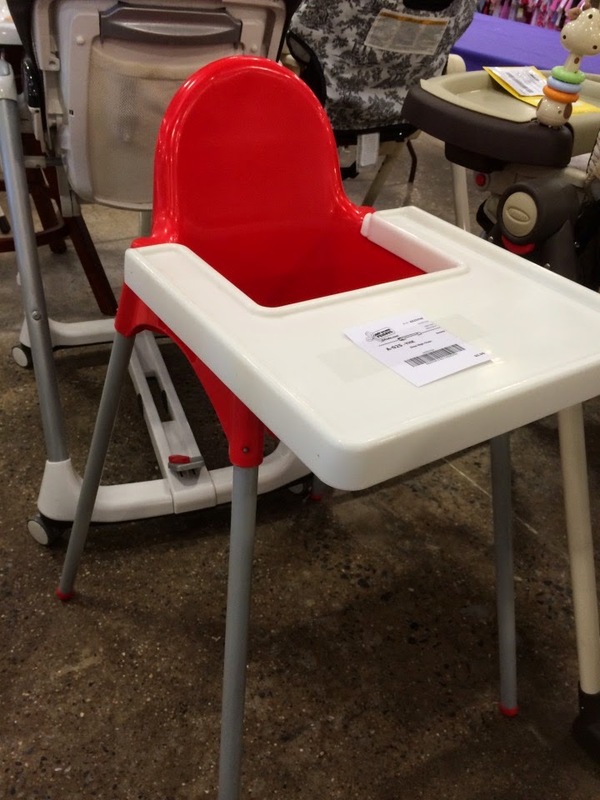 I knew they would make great feeding chairs - or activity chairs - or therapy chairs. The one on the left was $5.00 and the red one was $8.00. I don't need either one. But tomorrow, Gavin's former physical therapist, Miss Wendy, is coming to pick one up to deliver to Gavin's old classroom. I have a shopping cart cover - but I'm frustrated with it because it doesn't cover the sides far enough and Hope can pull it off, exposing the cart. I should have stuck with what I knew. We had matching "Floppy Seats" for Gavin and Brian and we loved them. 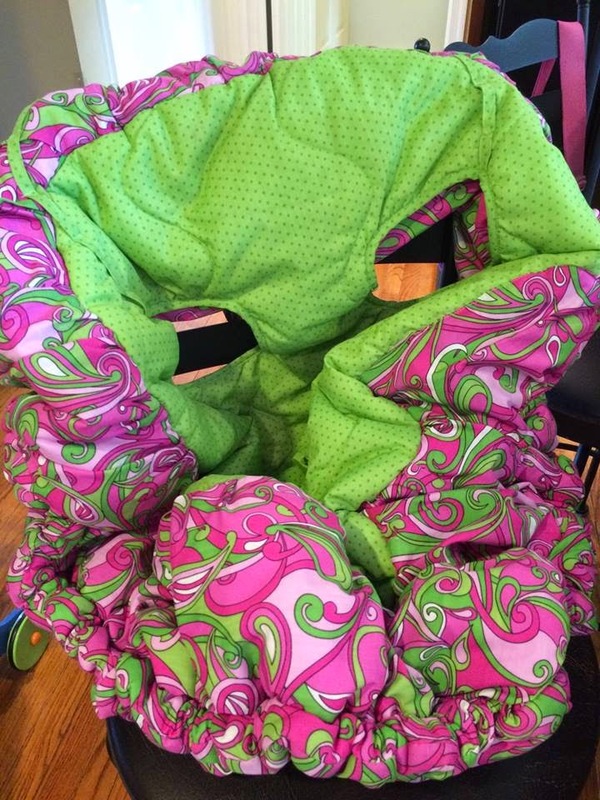 So when I saw this bright and preppy Floppy Seat - perfect and clean - I had to have it. They go for $50.00 - and I bought it for $10! 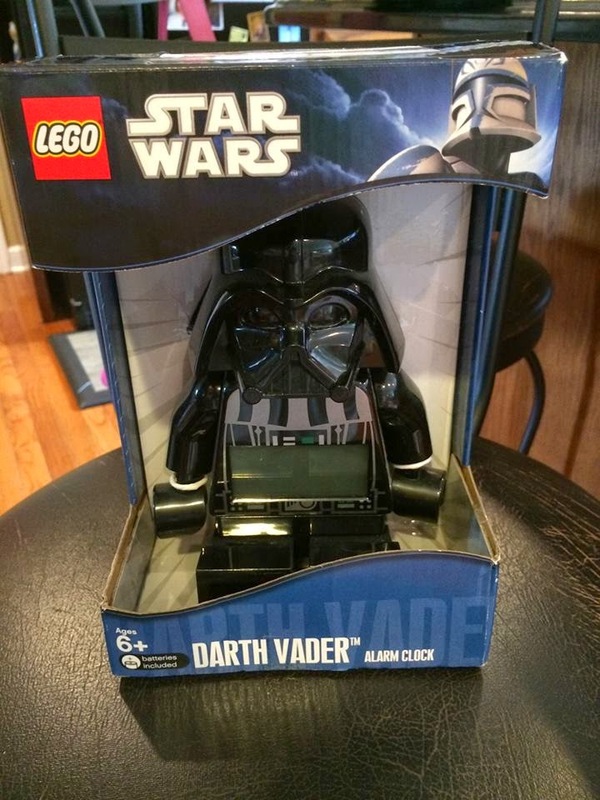 Our Star Wars obsessed student will love waking up to a brand new, in the box, $8.00 Darth Vader alarm clock! 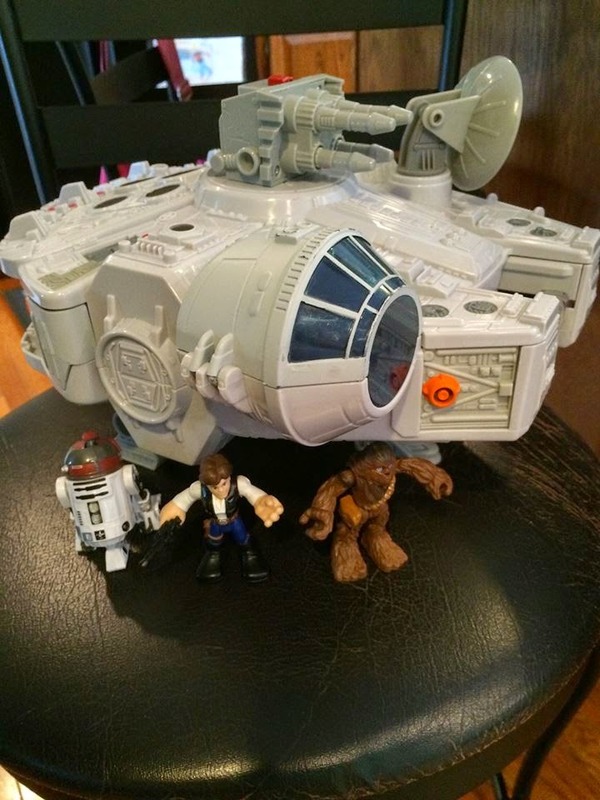 And speaking of Star Wars, Brian loves these Lego Star Wars sets. 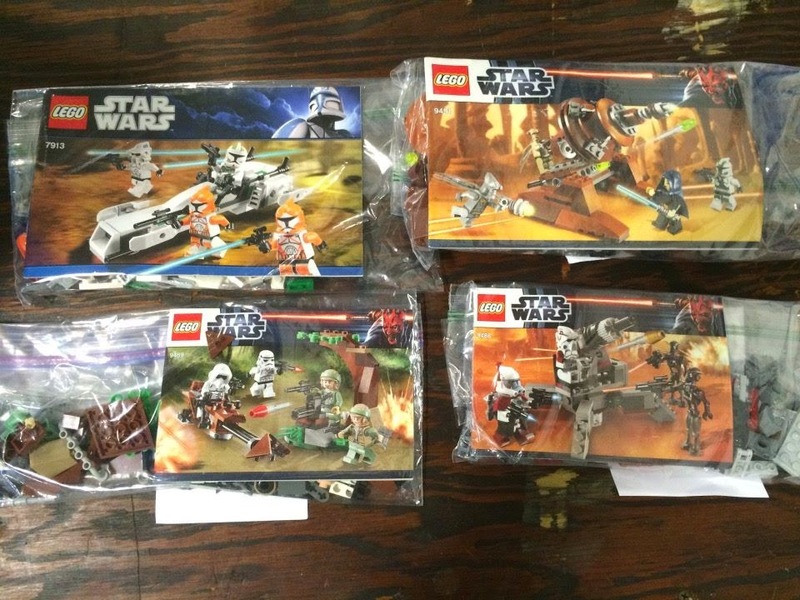 Each of these sets are about $20.00 and I bought each one for $12! Brian will be excited - either for his December birthday or for Christmas! I got this Snugli backpack carrier for $20.00. It will be great for days we don't want to use a stroller for Hope and it even has a built in canopy to shield her from the sun! 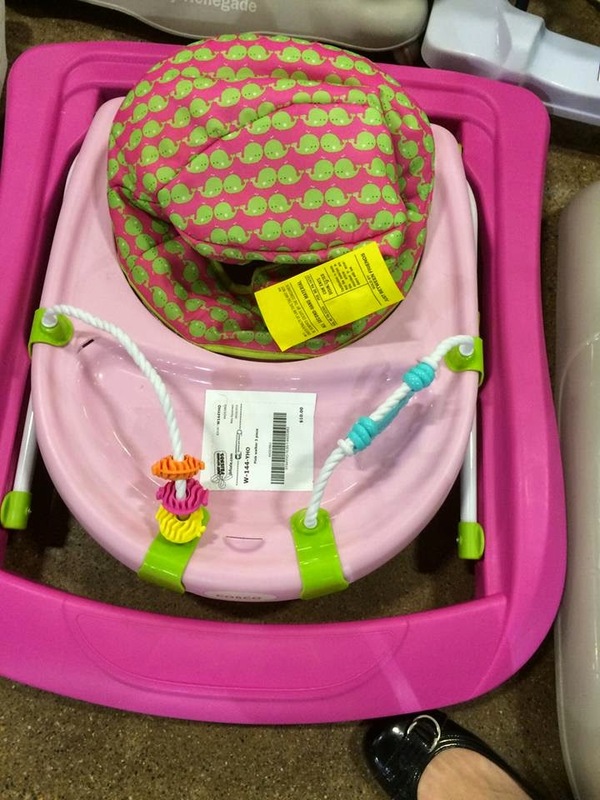 I was psyched to find a cheap walker (in a cute pattern!) for Hope to use outside on the driveway! It was only $10.00. 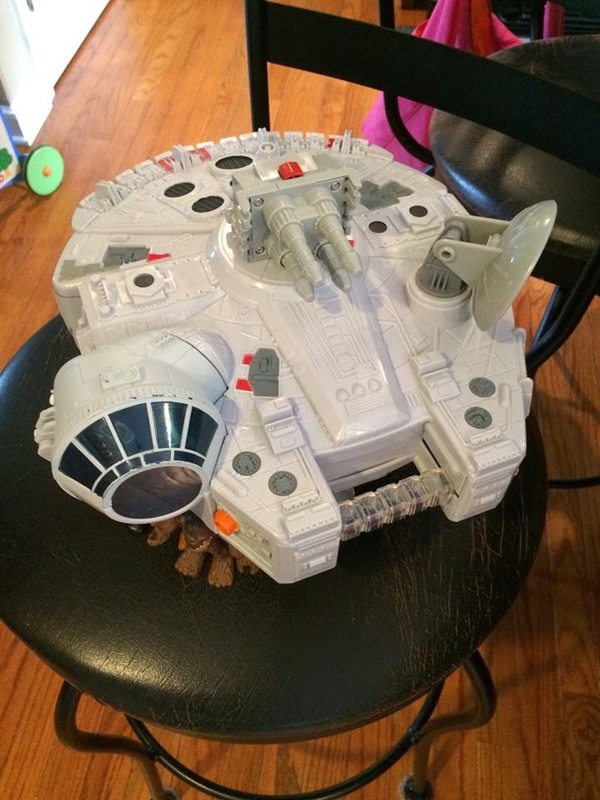 Brian is going to LOSE his MIND when he finds this Star Wars Millenium Falcon - with three figures - under the tree. It was $15.00. This might be one of my FAVORITE buys. You know we love books around here - and I have a one sided book display in both the kids rooms and two in the playroom. I've always drooled over the double sided book displays on wheels. It sells for over $200. I bought it for $80! I already moved it into the playroom and it frees up room! 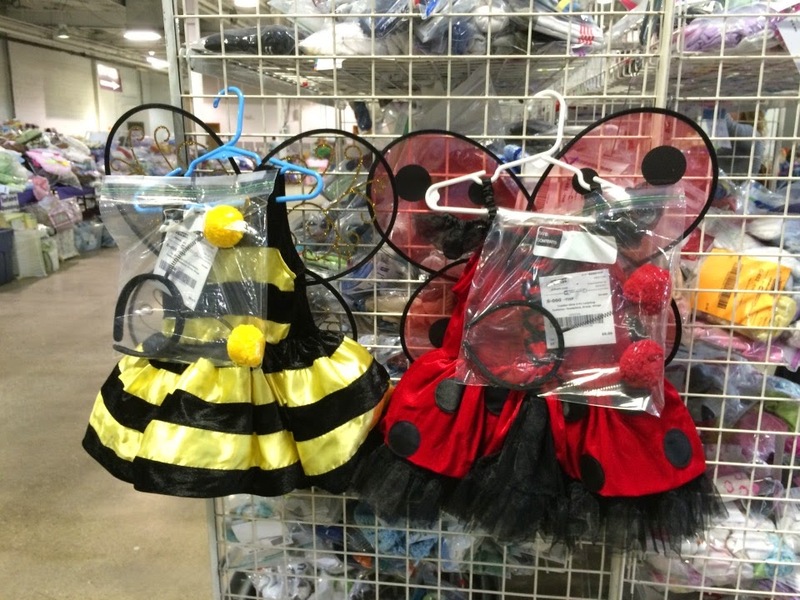 These two (perfect) costumes are a ways away for Hope. But I couldn't pass them up for our dress up box. Not for $8.00 each!! 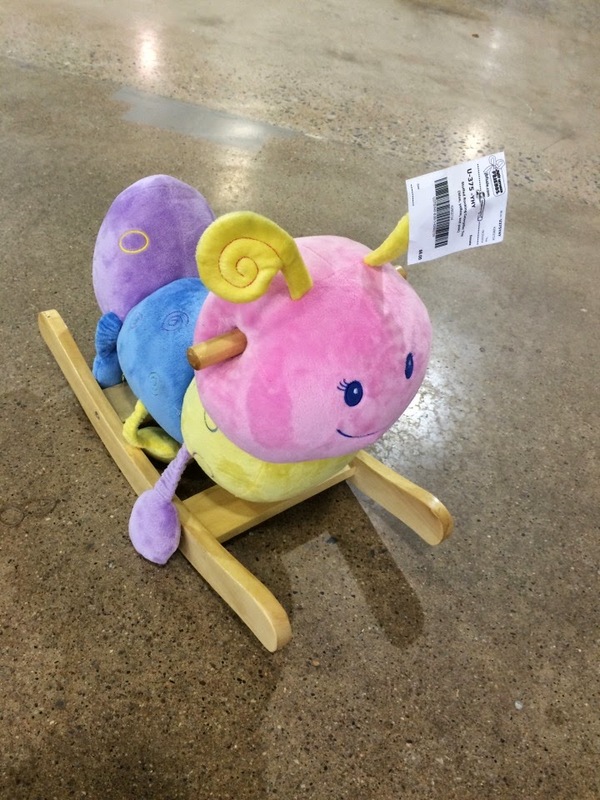 Also for under the Christmas tree, this adorable rocking caterpillar for Hope's room. It was $8.00! And, finally, shoes. 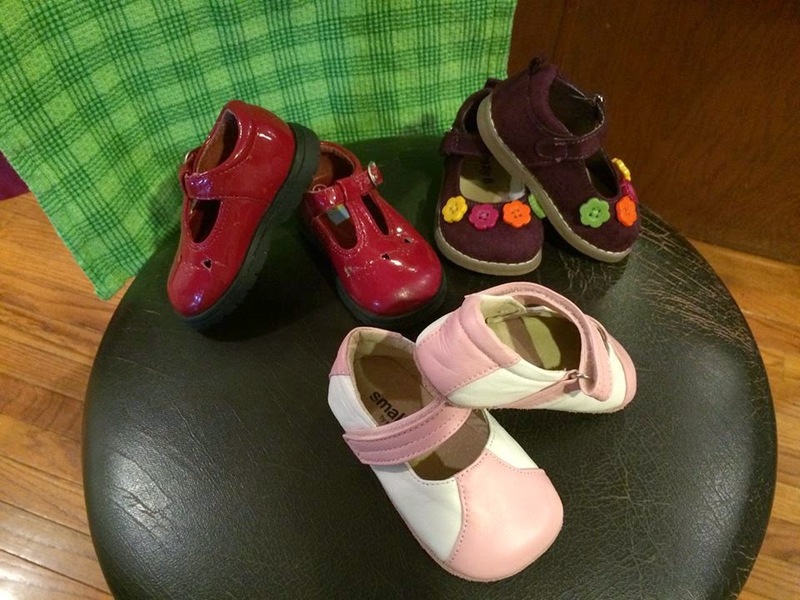 I bought four pairs of shoes for Hope (one pair of new Stride Rite sneakers I forgot to photograph) for $22.50! The pink and white shoes are by "See Kai Run" and are brand new. I had so much fun and I'm so happy with my purchases!! If you live in the Philadelphia area, you can go to the sale starting tomorrow and through Sunday, September 28th! If you're thinking - "Eh. All the good stuff is probably gone" - that couldn't be further from the truth. This is the biggest and best sale yet. Especially if you're shopping for clothes... baby equipment (strollers, high chairs, swings, pack and plays, etc)... and Halloween costumes. But they have everything!!!!! Follow THIS link to get more information and find out how to get yourself to the sale! You won't be sorry. You know I never write about things like this - except for JBF. Twice a year, this is my "thing." It makes me so happy. 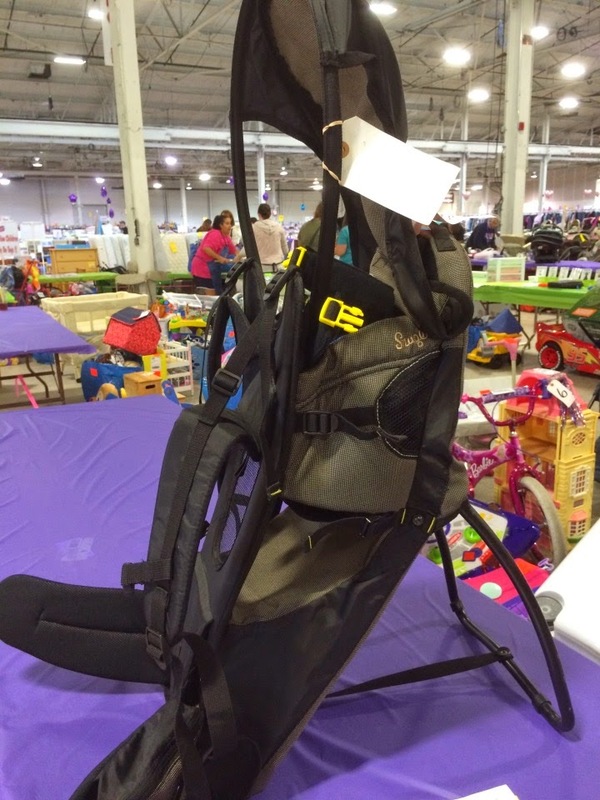 Kate, that very moment I found you this JBF consignment from.your blog, i researched if we have it here in Dallas, TX luckily we have 3 venues in nearby cities. Sadly, I already missed the first one due to work.schedule. I giggled when u said.. "granbed a sack and RAN." That would be me, too. I love the items you got. Especially Brian's table and Hope's catepillar rocker. Hopefully i will be able to go to the next one this weekend. Such good timing for this post! After your last post I looked up the JBF sales and the first one near me is this week. I'm heading to it tomorrow and so excited to see what its all about. We still don't know if we are expecting a boy or girl, so this will be more of a basics and research trip, but I'm quite excited just the same. Thanks for the info! Kate, I saw you at the sale (insert me running out the door at 1115 when daycare called to report my son had a 103 fever so I couldn't introduce myself liked I'd hoped). I'm so glad you found good deals and things for Brian and hope (as did I). Just want you to know that you are truly an inspiration and I love reading about you and your family. Lots of support and prayers sent your way. Thank you for sharing your life. 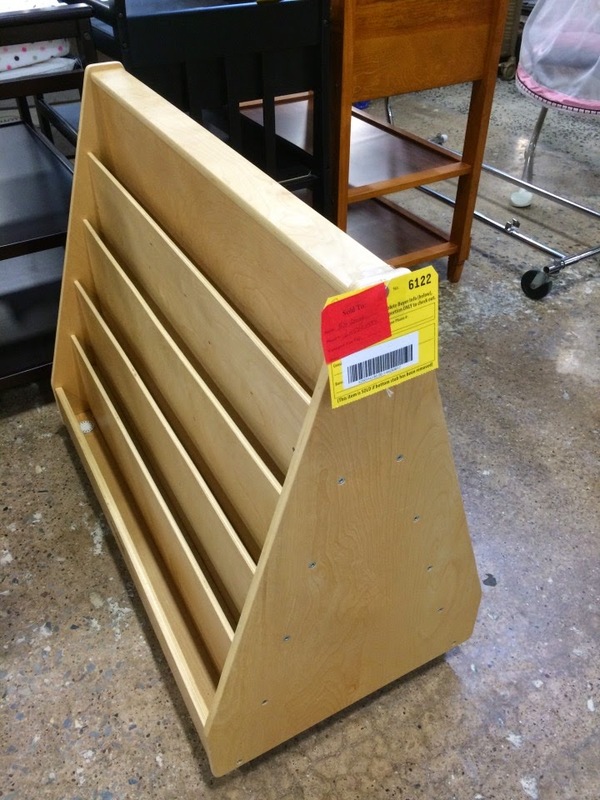 JBF sale and The Chester County Library book sale! Can't live without either!